Home > Into The Wild > How Can Cats Control Our Mind? Yes, you have read it right! Cat controls the mind. Whenever we see cats, the first thing that comes to our mind is a fluffy little and cute creature. But, if you have been out hanging with your feline friends than you probably must be aware of the fact that they can really control your mind. 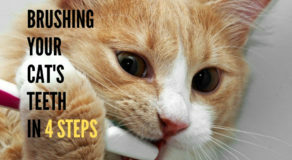 Here are three ways on how cats control your mind. 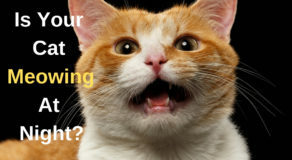 Studies reveal that your cat turns to recognize its owner’s voice. Studies show that 50% of cats turn their heads when they hear a coo from their owners while 10% cats move their tails or meowed on hearing the same in acknowledgment. So we can conclude that they may hear us and respond. Yes, cat purrs are something very obvious that you can expect to hear time and again all through the day. 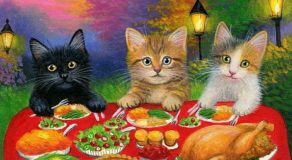 But the perfect purr is basically the purr and cooing sounds that your feline friends can be best at, to make you jump off your sofa to serve them some delicious smelling food. A scientist from Sussex differentiated between the frequency of cat purrs when her cat used to irritate her with a different kind of purr. She observed her cat purr constantly and found out that the cat purr included two ingredients the high frequency and low-frequency purrs which she could relate with a child’s cry. Kittens may infect the humans with a bacterium that actually reproduces in the digestive tract of the cat. Humans can be affected by it too and can behave differently if infected by cat’s saliva. A peculiar study reveals that drivers infected by cat’s saliva are 2.6% prone to car cash as it can affect the neurons.